When going to a music festival, the forethought required ramps up a notch. Tent? Sleeping bag? Cash? Tickets? Ample dressing up materials? All sorts of small things become very important: the pump needed to blow up mattresses, or that easily losable small wind-up torch that you know was kept in the drawer of the dresser in the hall, but has gone missing just when needed. Bags are plumped out and the car is filled. Everything required for living in a field for three days must be accounted for. Luckily it’s rather easy to forget this rush once it’s done. It gets brushed aside. 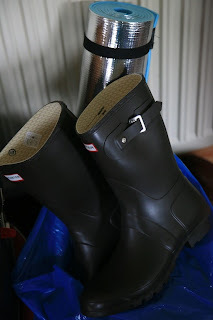 There might be the slightest of inverse echoes post-event when sorting out muddy boots and dirty laundry. But these are just like the book ends scaffolding the main experience. Necessary but not worth dwelling on. In this instance, that main event is Wilderness Festival. I've spent this week in preparation for a magnificent-looking few days of music, food, theatre and literary events. I have amassed my outfits: velvet mini-dresses, spangled shrugs, silk camisoles, sturdy shorts, translucent fabrics. 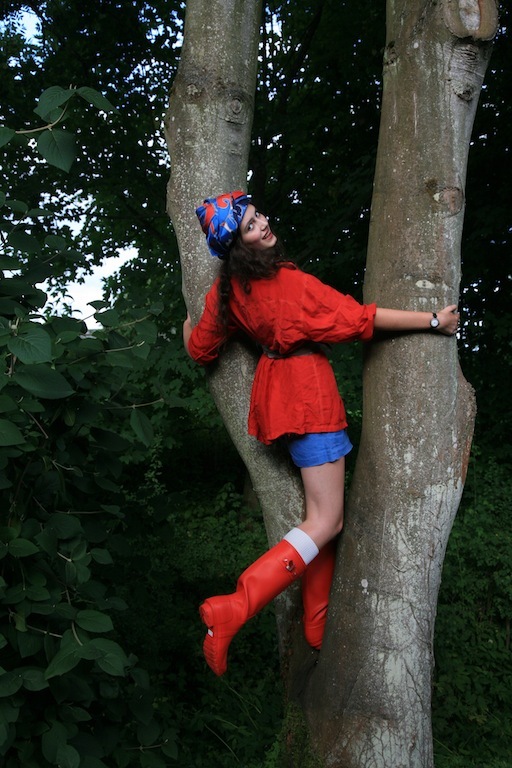 Underpinning each of these layered looks there’ll be a pair of Hunter wellies – an Original short pair in chocolate and a long orange Headliner pair (pictured here). As long as I can both tramp and dance, I’ll be content. It’s hard to pull out a definitive list of favourites from the line-up, but things I can’t wait for include seeing singer Sam Lee, eating foraged food for Sunday lunch in the St John Dining Tent, popping across to the Idler Academy stage and swimming in the lakes. A great array of sounds, sights and activities await. Thanks to Hunter for sending me off to Wilderness festival. In anticipation of festival-style costumes, my clothes above are a rag-tag mix of second hand silk and linen. All are from charity shops apart from the vintage turban-style hat, which is a rather dazzling Christian Dior number. It was originally owned by my mum's late Great Aunt Violet (which is just the sort of name for someone in possession of a silk Dior turban). That silk turban is incredible, what a wonderful hand-me-down. If people in Vancouver dressed for the wilderness like you do, I'd have to keep my big trap shut. Never break up with Hunter - he not only makes fab footwear but sends you to fantastic artsy fests in the wild. If you do give him the boot, send him my way, I'll break it to O gently. I sometimes like the journey more than the destination. I'm thrilled by places of transition such as airports, hotel lobbies. I love your Dior turban. "Dance and tramp"! Gosh so Hunter are paying for you to go to Wilderness festival? How exciting you lucky thing! Have a brilliant time. You're in a perfect festival outfit here, colourful and practical and fun, with the turban as the most wonderful finishing touch. Enjoy! First off loving the red rainboots! Swoooooon! Have a fun time at the Festival! I am packing this morning for a trip of my own- my favorite cousin's getting married and it's sort of a camping trip- trying to pack for both cuteness and practicality! great pics and a sweet outfit!!! Look out for my friend Rosa Bloom at the festival! Beautiful photos! 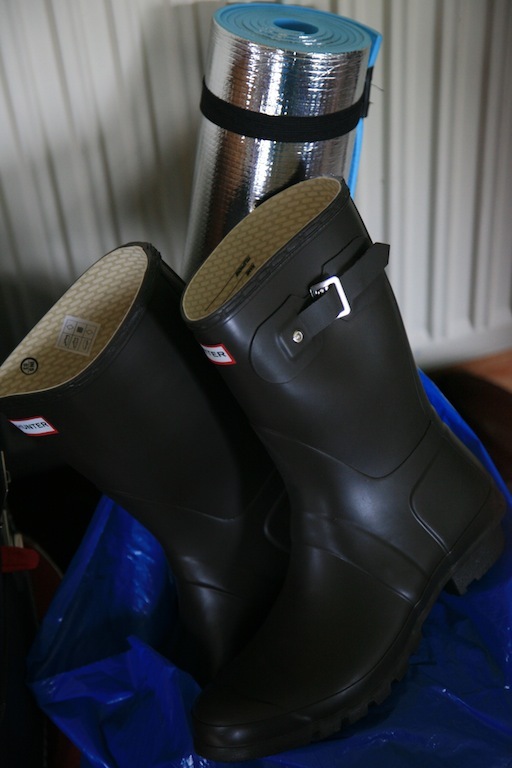 I want wellies! What fun you must be having! Weekend mini trip's are the best! It's just the refreshment we need to deal with another week! And as you do,Violet had great taste! 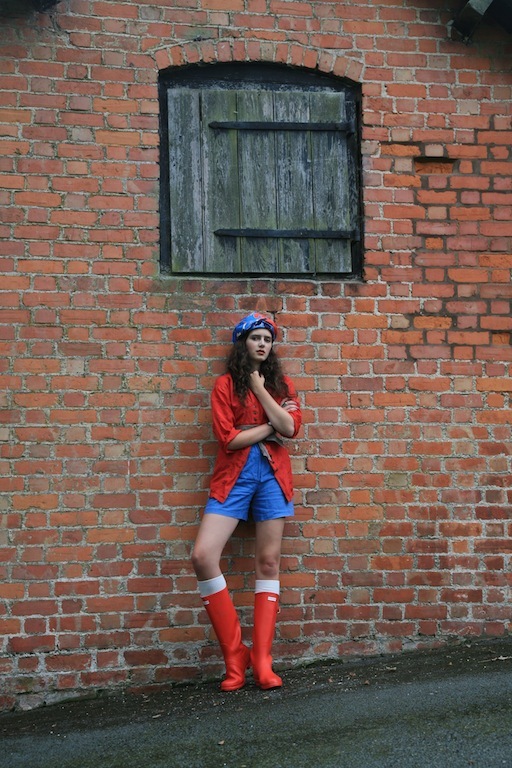 lovely article:) Great outfit for festivals. Music festivals are a lot of fun! I hope you had a great time, and I loved the vivid scarlet of this outfit and the turban a la Ingres :).